Represents the land parcels available for those looking for the option of designing their own homes. We will also be offering multiple options of model homes. All homesites will have full underground infrastructure (electricity, water, fiber optic internet etc.) Residents will enjoy the full use of the community center and wellness resort. 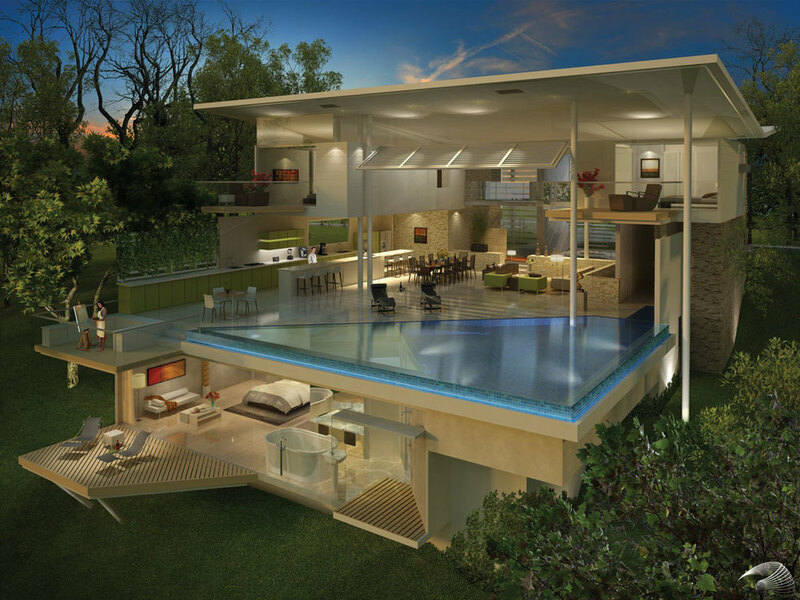 Will consist of villas of varying sizes designed by renowned architect Victor Cañas. Residents will enjoy full use of the community center, wellness resort, and will be provided complete resort services. The anchor of the community - a value added for residents, allowing them to enjoy the benefits of a resort-like community centerpiece with amenities and services. 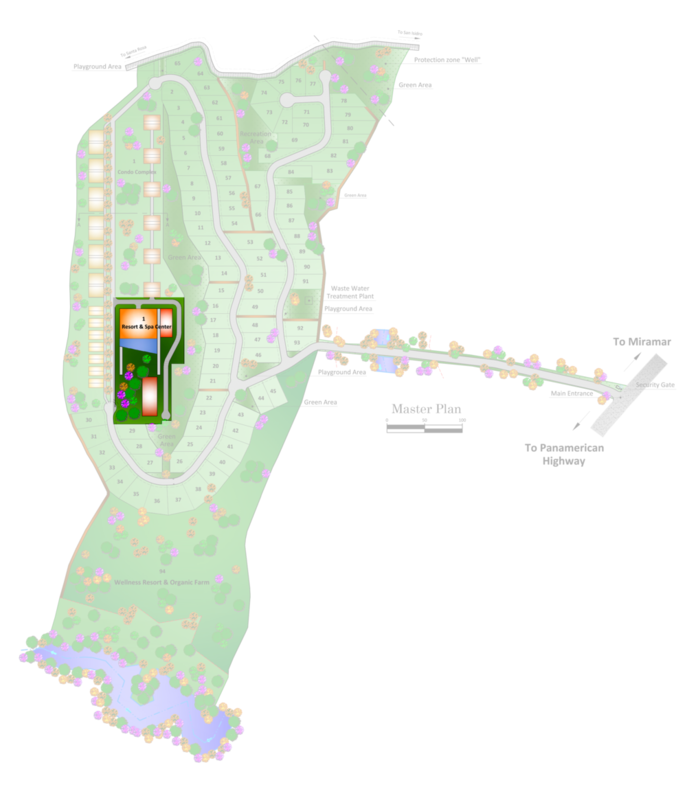 Will consist of modern cottages, a classic spa, a wellness retreat and longevity center as well as an onsite organic farm. The Longevity Center will feature the latest in medically supervised naturopathic treatments aimed at maintaining a healthy and balanced lifestyle and prevention of disease. Situated in the Gulf of Nicoya next to secluded white-sand beaches. Amenities will include a fine-dining restaurant, salt-water pool, children’s play area, and mini-spa with showers, lockers and lounging deck as well as an activities center with sports equipment such as jet skis, canoes and water skis. Experience smart living with a comprehensive array of services – handyman,food delivery, cleaning staff and more. Delight in the country’s premiere eco destinations—be they volcanoes, rainforests, beaches or national parks. Explore the spirit of adventure while surfing, zip-lining or waterfall hiking. Long admired for its natural beauty and ideal location, Miramar has all of the key requirements for great living: good schools, safety, a medical clinic and national hospital in close proximity, a vibrant local community, and well developed infrastructure, including access to water, electricity and internet.